Consulting recently on a talent agency’s “skillmap” for copywriters, I said that good copy should be “jargon-free.” A colleague disagreed, said jargon “can often help establish rapport with a niche target audience,” especially in a situation where non-specialists are trying to show specialists they can ‘talk the talk’. 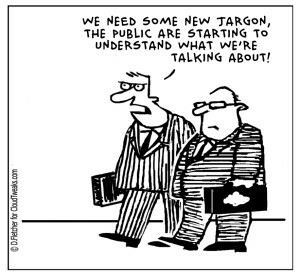 If you take most dictionary definitions of “jargon” literally, she’s right – jargon is useful and efficient for communication within exclusive groups, neither good nor bad in itself. And sometimes an outsider, if they’re really good, can get away with ‘talking the talk’. 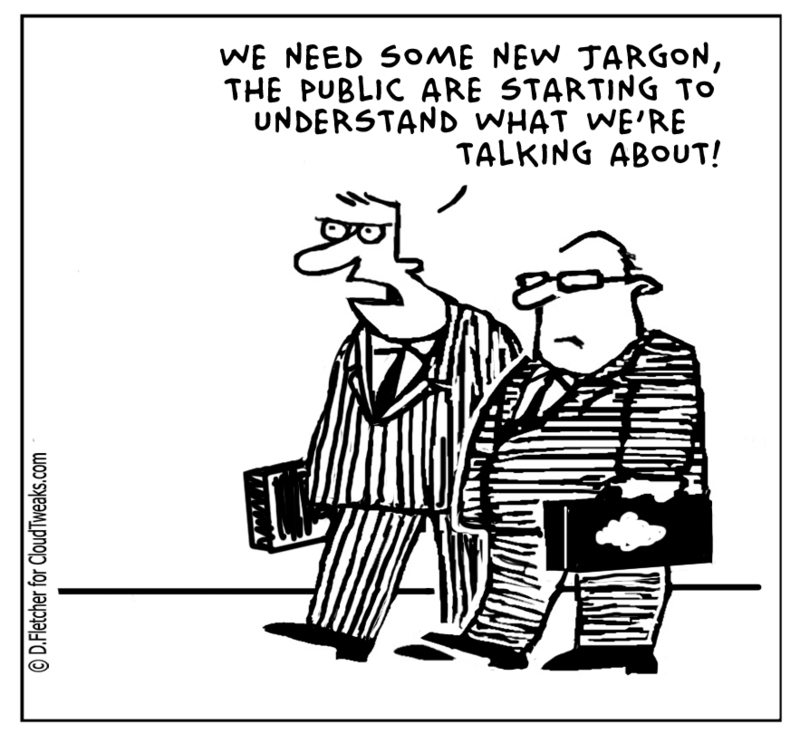 But far more often jargon is used to impress outsiders (“we’re in the know; you aren’t”) or feign insider status or expertise that the writer or speaker doesn’t have, so it narrows the audience and degrades into lingo that even the insiders don’t understand. Scott Berkun (one of my favorite thinkers about the digital realm) makes that point nicely in this blog post, “Why Jargon Feeds on Lazy Minds”: http://scottberkun.com/2012/why-jargon-feeds-on-lazy-minds/.